Real-time reflection of incoming data. The Hong Kong Subway System carries an average of 2.3 million passengers every day throughout a network of 50 stations covering 54.5 miles. The Hong Kong Subway System is one of the most highly utilized mass transit systems in the world. 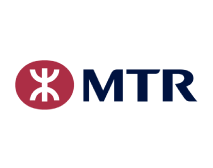 MTR owns and operates the Hong Kong Subway System and has been confirmed by recent benchmarking studies as one of the world's finest railways for reliability, customer service and cost efficiency. Trains within the subway system are operated with automatic control and protection systems which regulate the distance between trains, determine the optimal rates of acceleration and braking as well as the coasting speeds on different sections of the track. The routing and timing of train movements are controlled by signaling computer systems according to scheduled timetables from the MTR Control Center. The Hong Kong subway system is a large and complex transportation system to manage. With expansion always on the horizon, and a Hong Kong population approaching 8 million, MTR required a traffic management system that could not only handle its system complexities, but grow and expand with the system. Sammi was selected to supply the graphic interface to the Hong Kong Subway System because of its impressive features and ability to grow with the dynamic system MTR provides. Sammi can read and process quickly the many outside applications supplying data and algorithms that control the more than 1,000 subway cars in the Hong Kong Subway. This interpretation is reflected in real-time in Sammi’s graphical interfaces. The resulting benefits of using a reliable solution such as Sammi include improved response times to incidents, service disruptions and emergency situations, lower cost of maintenance, and a common user interface across distributed terminals that reduces staff training costs. MTRC Hong Kong Subway system interfaces supplied by Sammi.